I live and minister in one of Agape’s Adaptation Centers for Girls. At the present, there are four of us: Katya, Tanya, Yana, and myself (Ira), the ministry leader for the center. Upon graduating from their orphanages, Katya and Tanya entered a community college, while Yana began looking for a job. Yana had a very rough childhood, and she has long suffered from loneliness and poor self-esteem. She really wants to find a job, and these factors don’t particularly help things. The past several months have not been easy for us. Yana has really put a lot of time and energy into searching for a job, but she has been turned down at every single place where she applied for work. It seems that she is just too short and thin for most employers, no one thinks that she can actually work. This has been a real time of anxiety and disappointment for her. She has often come home in tears after yet another unsuccessful job interview, repeating that she’s never going to find a job, that nothing’s going work out. We’ve prayed together every time, and continue to do so... as well as pursuing every possible employment opportunity. A big plus that has come out of this situation is that Yana has had to reconsider her own attitude toward work. She used to think lightly of employment and thought changing jobs as often as once a week was perfectly fine. Also, almost every orphanage graduate thinks the world owes them a living... and that attitude has naturally only been an impediment in her job hunt. At this point, however, Yana’s ready to take any job at all and work for even the smallest pay. I firmly believe that now, when she does find work, she will place a greater value on it. ...And today we are rejoicing in answered prayer! 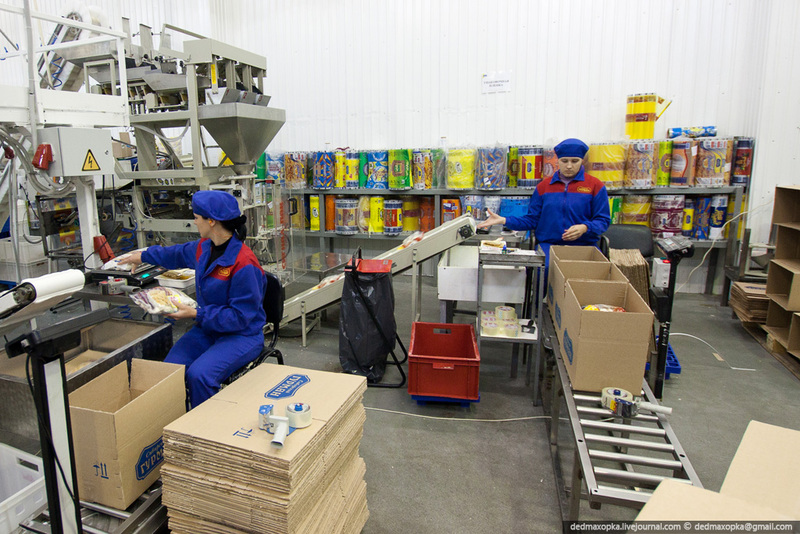 At the first of the month Yana began working at a confectionery warehouse as a packager. This is a job that she practically prayed into existence! The working conditions there are quite challenging. Yana leaves home at 5:30am and gets home at 10:30pm. The warehouse is cold and her coworkers aren’t very friendly...but Yana has taken this all in stride and is displaying a simply amazing amount of responsibility. She’s putting up with the discomforts and insults from her co-workers beautifully. All of this is a great source of joy and encouragement to me. Despite all of the difficulties, Yana is glad that she can actually begin supporting herself financially. I’m also seeing more spiritual growth in Yana. She really enjoys doing good for others. She often finds people who are worse off then she is and helps them. The last time, it was an orphanage graduate. She found this boy holed up in a stairwell, trying to protect himself from the -4 temperatures outside. He had nowhere to go overnight and Yana helped him find a place to stay. She also has no problem with telling those she meets about the salvation that God offers through faith in Jesus Christ. Even her old friends have begun telling that she’s really changed. God is working miracles in her life! Thank you for taking part in our lives through your prayers and support!